Vegetables tasting like tires? And bad karma! Oh me oh my, I just want to give up. Actually, I don’t care about tire gardens, though I do like the idea of recycling a waste product into a gardening bed. But growing vegetables in tires isn’t a method I have any personal stake in. Unlike Joel Karsten, the Straw Bale Gardening Shill, I’m happy to drop this method if the evidence is against it. 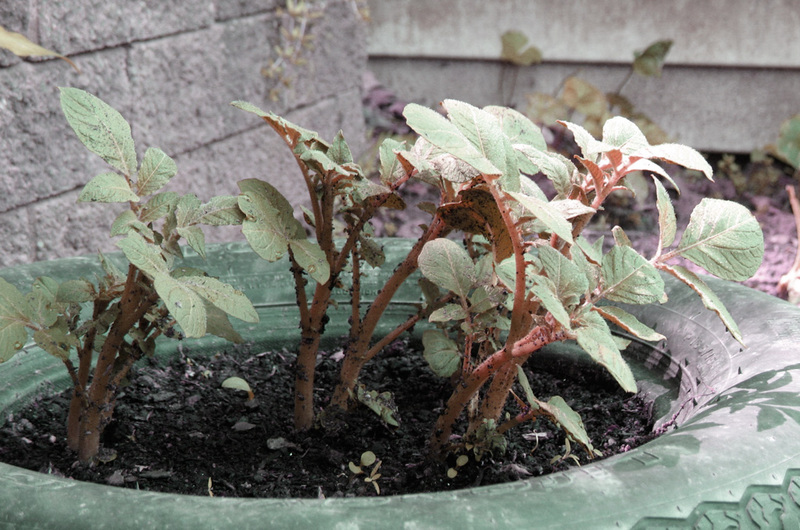 So – are tire gardens toxic? Let’s do a little digging. Tires are, of course, cheap and widely available even in the third world. ECHO uses them in their urban garden demonstration area. 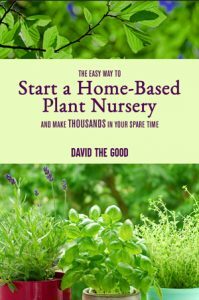 You can set up tire gardens on driveways, roof tops, rocky lots and in tight spaces. They’re convenient, too. But are they toxic? When Patrice at Rural Revolution blogged about their tractor tire gardens, she got a similar response to that which I got but even harsher. Still, I am not convinced. After all, if vegetables are tasting like tires, well, that doesn’t inspire confidence. Yet I do love what Patrice has done at Rural Revolution. In her case, it made sense. Again, though, these terrible things might have off-gassed during the tire’s usable life or been stabilized and made inert during manufacturing. “When it comes to growing food in tyres, why take the risk? This is not complete tires, of course, but tires will break down slowly over time in the garden – and if it kills ground life, well, that’s obviously a bad thing. The science isn’t settled, but it is disturbing. After multiple hours of research, I am now leaning against tire gardening. If you’re in an urban setting, have terrible soil or no soil and no options, etc., there might be a place for tire gardens. I built mine for fun in a few minutes and have enjoyed them but I now have no desire to expand and add more. 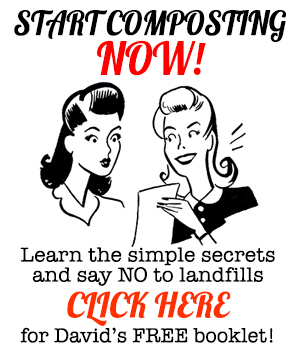 Yet digging beds is free – so why use tires at all? Especially if it’s going to ruin the karma I even don’t believe in. 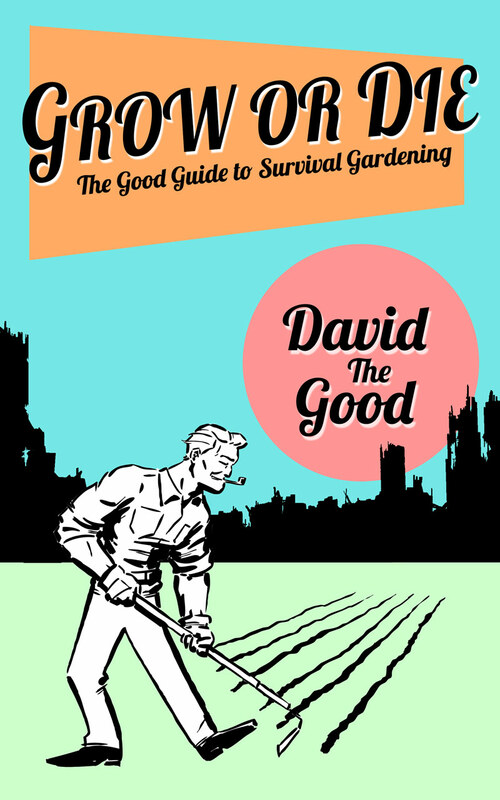 If you want simple, tried-and-true and even off-grid methods for growing lots of food without much money in tough times, check out my book Grow or Die: The Good Guide to Survival Gardening. Check it out – I think you’ll enjoy it. *Image at top by Tony Buser. CC License. Hunh. So ground up particles of tires, which are not the same as intact tires, supposedly leach chemicals that are inimical to life, including algae. Yet we are continually reminded about tires being a great place for insect propagation (which they are). Wasps build nests in them. Mosquitoes reproduce in them. Insects shelter underneath them. Snakes shelter in them. Possums and rats frolic in them. I remain unconvinced. Had similar line of thought. Gardeners are successfully growing plants in their tire gardens. Can see plenty of plant life on the sides of the freeway, which should have no shortage of toxic tire dust. If tires are so toxic, should be more obvious. There is also toxicity in dose. Your logic is a little flawed, SirHamster. You think because plants are thriving along the freeway – surrounded in toxic tire dust – then they must be safe for human consumption? I’ve seen entire gardens growing bumper crops because they’ve been saturated with pesticides. But I sure as hell wouldn’t eat them. I guess we all draw the line at different places. There are so many toxins and carcinogens in our world that are OUT of my control; I think I’ll try to eliminate the few that are IN my control. I’d like to think we humans are a little smarter than bugs, and rats, and snakes. That – if we discern a potential health risk with our shelter or our food source – we’d be smart enough to avoid it. Plus, you don’t really know that the rat or snake you found one day under an old tire went on to live a full, healthy, cancer-free life. Here’s the amazing thing about insects and other life forms that have relatively short lives: they still live by natural selection and survival of the fittest, so they evolve a lot faster than humans. Insects are constantly evolving to be resistant to our pesticides. Even rats have shown amazing adaptability to poisonous conditions. Humans, on the other hand care less about their 2nd, 3rd or 4th generations — they want to be healthy RIGHT NOW. It’s why our healthcare industry represents 1/7th of our GDP – and growing. Just stack ’em and paint a mural on ’em. Good yard decoration and a way to recycle them. I’ve seen that done around here – there’s a big wall of crazily painted tires with random sayings all over them near me. It does look pretty cool. Hi David, used tires for gardening one time decades ago but i could never trust leachage to not be toxic. Do you know the history of tire making industry, specifically during WW2? when rubber was being produced by india and the usa thought we were gonna loose access to rubber and hence inability to produce tires for military, thus a race was on for fake rubber. then of course by end of the war, corporations were already producing mixed rubber/synthetic and forced congress to mandate percent of synthetic in what used to be all rubber tires which lasted a looooooonnnnng time/many miles. guys returning from WW2 would buy a car on west coast with new tires and bald by time they arrived home. read Wade Davis, “One River”. I remember reading about Henry Ford’s attempt to start a rubber plantation in Brazil – I know it was a big deal at one point. …I’ve been using tires in landscaping for over a decade and haven’t experienced any depletion in the health of the vegetation in or around these tires, although I don’t taste the vegetation….I’d keep in mind the only difference between whats in or on the vegetables people buy at the store and what’s in or on vegetables grown around tires is that with tires in your yard you have some choice in the matter…p.s. I’ve noticed that according to the warning labels, there are very few things left that aren’t known to cause cancer in the state of California? I live in New York, so I don’t have much to worry about?